For most of us fitting in a workout into our busy schedule can be quite a challenge. While you may take the time and effort to do just that, perhaps you are not thinking about the nutrition that your body requires pre and post workout. Trainers and nutritionists recommend that you enjoy healthy and nutritious pre workout snacks as well as post workout snacks. They have a clear and specific function and should not be neglected at any cost. Pre workout snacks aim to offer your body the nutrition and energy it requires to facilitate optimal performance during your workout. On the other hand, snacks eaten after you are done with your exercise routine help repair and heal it. Ideally the snacks should include fruit, carbohydrates with medium to low glycemic value, proteins and essential fatty acids. It is a great idea to plan ahead for your pre workout snacks as well as the post workout snacks. This way you can ensure that you have just the right snack to enhance the impact of your workout. The size of your pre workout snack would depend on several factors and this includes what kind of food you are going to snack on, your metabolic rate and how hungry you are. Do try to eat at least 30 minutes to an hour before you head to the gym. There a variety of foods for you to choose from. Here is a list of 30 that you may enjoy. Make yourself a delicious dessert snack. Whip up some non-fat yogurt, add a handful of whole grain cereal and top up with chopped fruit. Blend a scoop of vanilla whey protein powder, you could also choose another flavor that you love, with a cup of 100% fruit juice and a handful of ice. A cool, refreshing protein shake will keep you strong and agile through your routine. If you love your coffee cold, then this is just the pre-workout snack for you. Put a cup of iced coffee in the blender and add a scoop of chocolate or vanilla flavored whey protein powder, and blend up a delicious dose of nutrition. The caffeine improves muscle performance. Blend a scoop of flavored whey protein powder with a cup of ice and a cup of berries. Get your protein and vitamin boost in a glass. Put a chopped banana into your blender with a cup of low fat milk and mix well. Go bananas with this shake that is super nutritious and lip-smacking. No, you have not read it wrong. This is not your classic PB&J, but a serving of a medium sized apple with two teaspoons of peanut butter. It is light and will sustain you through your hour long workout. If you do not have time to blend your favorite pre workout shake before you leave home, just enjoy a bowl of seasonal fruits. Do remember to add a banana. For the days when you just do not have time to fix a fresh snack, go dry. Eat a handful of dried fruit and nuts. Here is another one for the days that seem to spin out of control. Make sure your gym bag has an energy bar ready to be eaten prior to the workout. Pick one with natural ingredients, and very little sugar. This is as simple as it gets, and full of nutrition. Eggs on toast is a wonderful snack, perfect for days when you feel hungry before a workout. Place slices of boiled eggs on a whole wheat toast, and enjoy. Spread some soft and delectable cottage cheese on your whole wheat toast. It will see you through your reps and much more. If you are headed out the door early in the morning, make sure it is after you have eaten half a cup of cooked oats. Add a side dish of boiled eggs; it is just what the trainer ordered. For the days when you are hungrier than usual, fill a whole wheat bun with some grilled chicken and lettuce. The Tuna-thon For You is for the days when you are not feeling too hungry but would love to munch on something special. Spread some tuna on whole wheat crackers, and start munching. Make an omelet with two eggs and a handful of your favorite veggies. You can use onions, mushrooms, bell pepper or any other seasonal vegetables. To this also add half a cup of rolled oats, and you have a healthy and satisfying snack. If you feel like getting in some greens before you head out to the gym, toss up some salad greens, seasonal veggies with a chopped, hardboiled egg. Add your favorite low fat salad dressing, and it is ready to eat. If you are in a rush and have no time for a snack, opt for a low sugar sports drink. You could also consider adding a scoop of supplement to the drink. Perfect for a late afternoon workout, the grilled chicken offers the body protein while the sweet potatoes provide it complex carbohydrates. Mix together half a cup of cottage cheese, and half a cup of chopped fruits. You can choose any fruits that you enjoy, but do add a banana to help enhance endurance. Whip up a cup of thick, creamy non-fat Greek yogurt, and add a handful of blueberries to it. The yogurt is rich in protein and the berries add a healthy dose of nutrients and antioxidants to your snack. Nut butters are high on proteins and healthy fats. This makes them a great pre workout snack option. Spread almond butter on celery sticks and treat yourself to a light, tasty snack. If you are looking for a light but wholesome pre workout snack, this is an excellent choice. 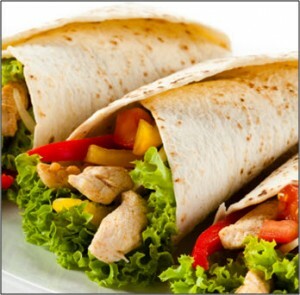 Roll lettuce leaves with chunks of turkey, finely chopped tomato and bell pepper. Add a touch of mustard. A bowl of steel cut oats offers your body energy for a long time. To a cup of cooked oats you can add a sprinkle of cinnamon powder, some dried fruit like almonds or walnuts and a scoop of whey protein. It is delicious and fun to eat, and not just meant for the kids. Fruit leather is a great pre workout snack and packs in a healthy punch of vitamins and minerals. Into a scoop of chocolate flavored whey powder stir in two teaspoons of coconut oil, the extra virgin kind. The high protein Choco Coco shot is perfect for the days you lift weights. Eat your sunny side up on a whole wheat toast. Do ensure that you eat your snack at least an hour before your workout. Spread peanut butter on whole-wheat toast and top it with sliced bananas and a drizzle of honey. Serve yourself a portion of grilled chicken with a side dish of baked potato wedges. Mix together a cup of oatmeal, one fourth cup of powdered flax seed, half a cup of peanut butter and a scoop of protein powder. Create your energy balls and chill in the refrigerator for an hour. Blend together a scoop of vanilla whey protein powder, a tall glass of freshly squeezed orange juice and a cup of ice. A long and strenuous hour at the gym tires out the body and leaves it fatigued. A post workout snack can not only replenish your energy reserves but also help muscle tissue rebuild and heal. The snack will make you feel great, and ensure that you gain maximally from your time at the gym. This one is easy. Enjoy a bowl of whole grain breakfast cereal with a cup of low fat milk. It is filling and will restore the glycogen lost during the workout. Enjoy a satisfying turkey sandwich. The wholegrain bread keeps you full and the turkey offers protein to your body. Do add some lettuce and tomatoes. 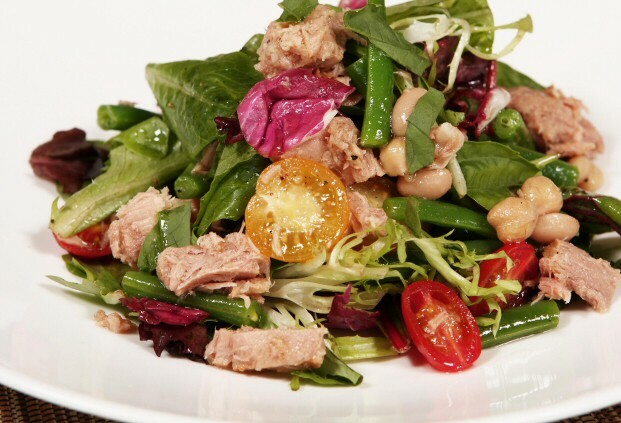 Salad greens, seasonal vegetables and water packed tuna make a delicious salad. Whip up some Greek yogurt and add half a cup of granola to it. Sprinkle some chopped nuts and raisins, and you are ready to eat. Spread some nut butter of your choice on crackers and enjoy a quick but wholesome post workout snack. If you are on the move, feast on slices of fruit, cheese and turkey slices. To your regular pancake mix add a scoop of rolled oats, some cottage cheese, a sprinkle of cinnamon and a half a teaspoon of vanilla extract. This is as simple and tasty as it gets. A banana blend together with a glass of low fat milk and a cup of ice. Blend together four cups of spinach with half a cup of vanilla yogurt and a cup of almond milk. You can also add a banana and some nut butter to make the shake creamier. Do choose a protein bar that is low in sugar and high on proteins and fiber. 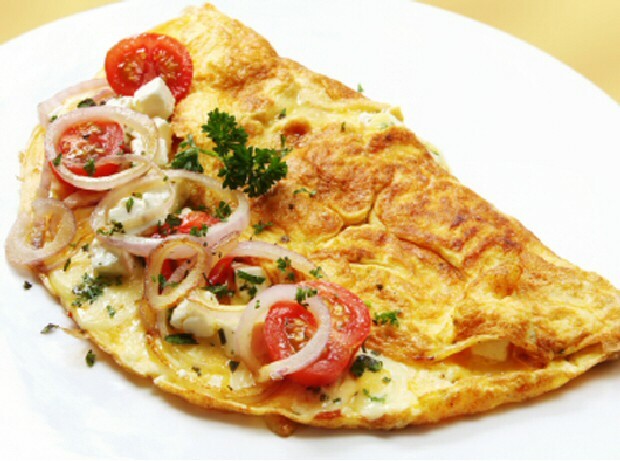 Scramble two eggs with finely chopped vegetables such as bell pepper, mushroom and spinach. Boiled eggs are a convenient snack to enjoy after your gym routine. Do enjoy them with whole grain toast. Enjoy a glass of 100% juice in a flavor of your choice with a cup of dried and toasted soya beans. 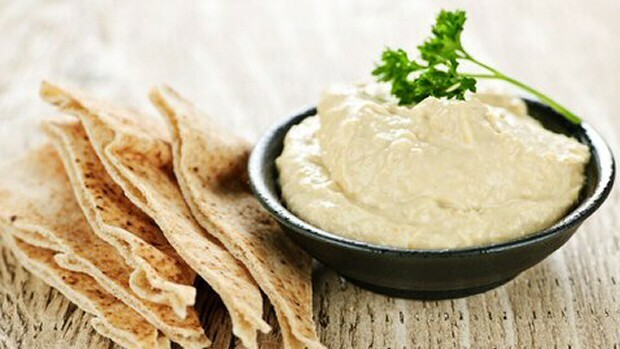 Eat a whole wheat, pita bread with a healthy serving of creamy, delicious hummus. There is nothing quite as comforting as a glass of low fat chocolate milk after a long, strenuous workout. Mix together a cup of Greek yogurt with a serving of fruit of your choice. Blend together a banana, a tablespoon of peanut butter and a cup of fat free milk. You could also add one fourth teaspoon of vanilla extract. Mix salad greens, seasonal vegetables and chunks of grilled chicken, to make a wholesome snack. In a crunch, a recovery drink bought from the store can offer your body enough nutrition to help it recover from the exercise. Top your rice cakes with almond or peanut butter. To a cup of cottage cheese add half a cup of cereal, the whole grain kind. Mix together with a drizzle of honey and a pinch of cinnamon. Make an omelet with three egg whites, a scoop of cottage cheese and canned black beans. Add string cheese to a bowl full of chopped apple. Mix a handful of nuts and dried fruit into a bowl of sliced banana. 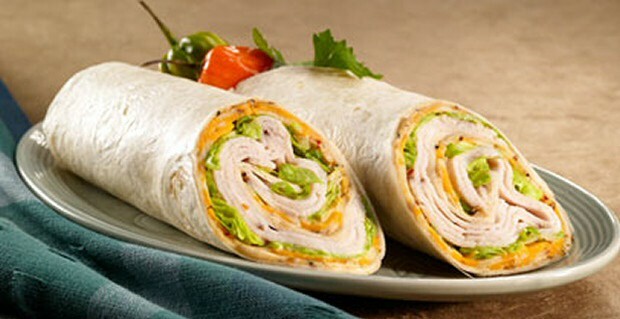 A whole grain Turkey sandwich wrap with a bowl of soup is filling and nourishing. 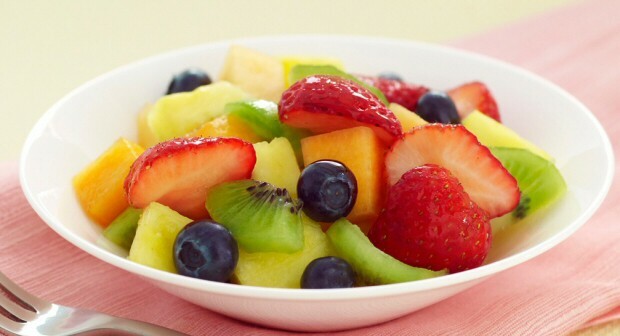 A bowl of mixed fruits such as kiwi, banana and pineapple is rich in antioxidants and nutrients such as carbohydrates. Use water packed tuna along with finely chopped seasonal vegetables and whole grain bread to make a wholesome sandwich. Blend a cup of low fat yogurt and fruit of your choice to make a deliciously creamy snack. You cannot go wrong with this classic snack. Top your crackers with slices of cheese. Stir fry chicken with vegetables such as broccoli, bell pepper, tomato and carrot. It is important that you spend a little time planning your pre and post workout snacks. It is important to keep your body nourished and cared for before and after you make it work hard at the gym. For more healthy snack ideas, check this out. Any other pre-or post-workout snack you like? Share it in the comment box below!